No more long, narrow, cumbersome decoy bags, New from Heavy Hauler Outdoor Gear is the 3?2 configuration 6 slot decoy bag. 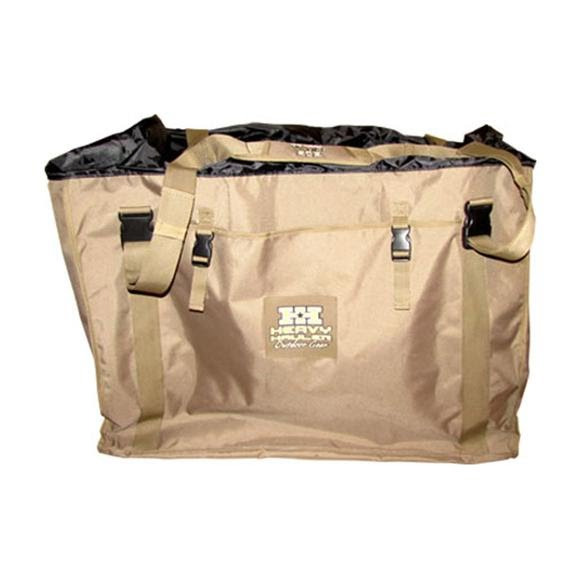 The bag is constructed of heavy duty 600 denier polyester with rubber coated mesh drain panels in the bottom. Adjustable, padded, shoulder strap with heavy duty temperature resistant buckles. Fits snow, lesser, and large Canada goose decoys or floaters.